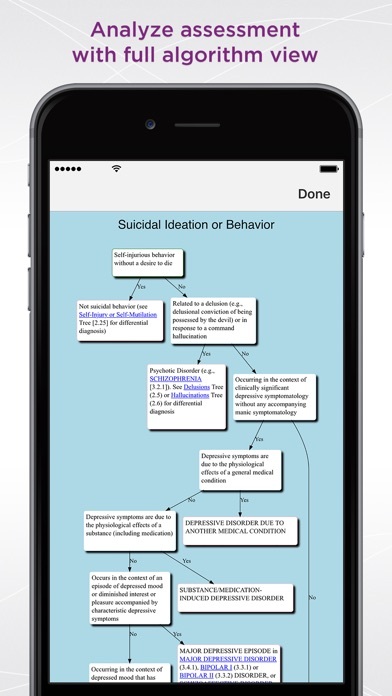 I’m a clinical mental health Master’s student and I just purchased the full version of the app. I hope to give a thorough review in the upcoming weeks. Great for fast paced private practice! 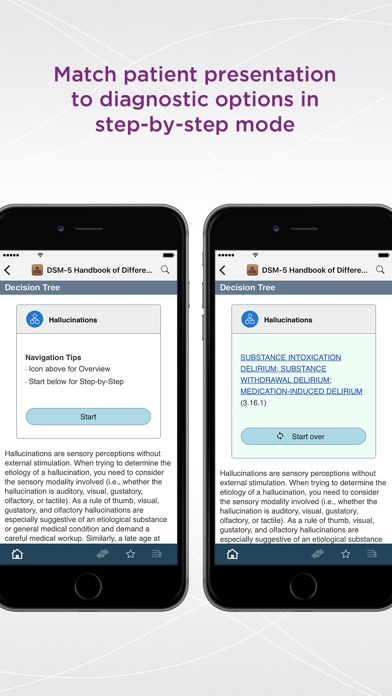 I am a well experienced and trained psychotherapist from the inpatient psychiatry world recently beginning in private practice and this app is such a time saver for targeting clinically solid custom dx for each patient in the setting of a fast paced outpatient environment where, from the outside, it looks as though there is plenty of free time until you experience a full client load. So useful! And worth EVERY PENNY!!! If you're like me, you'd be making a big mistake not to get this! 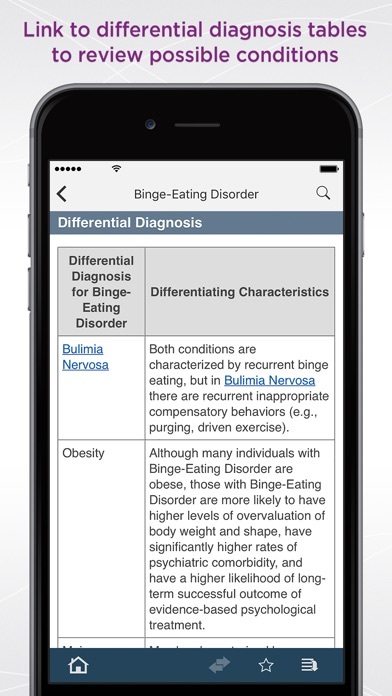 Can't say enough great things about this app! Buy it today! 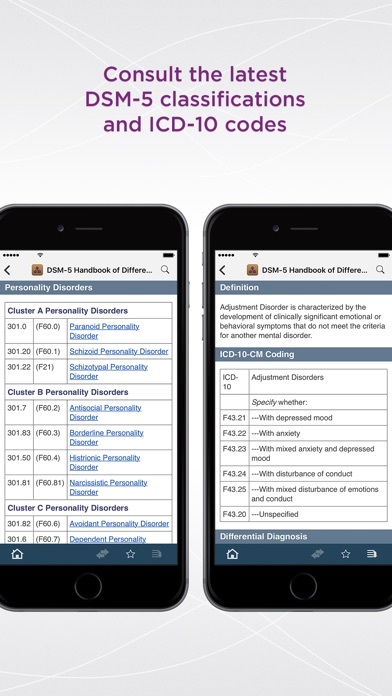 Como se puede obtener el DSM-5 en espańol??? Hasta ahora no encuentro ningún material en idioma espańol. Gracias.. This is a trial version with no functionality. The "in app purchase" is to buy a working version for $70! 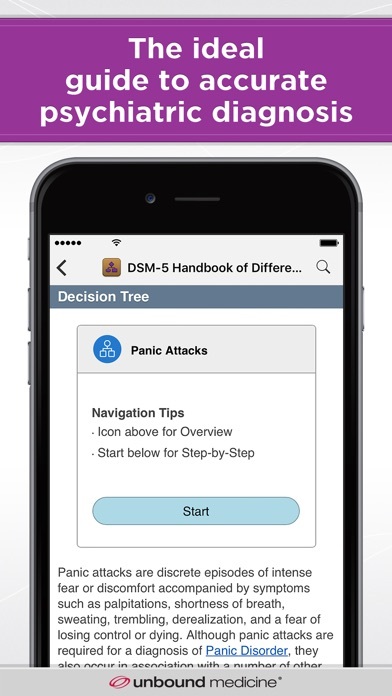 I bought this app to start my psychiatry residency. It was a waste of 70 on a useless thing that does not even contain the full criteria for diagnosis. I thought it would be a nice way to have all the criteria in my pocket to look up between patients. It's not. It gives you a two line definition an that is it. Literally go buy anything else if you need information that general you could literally ask anyone.